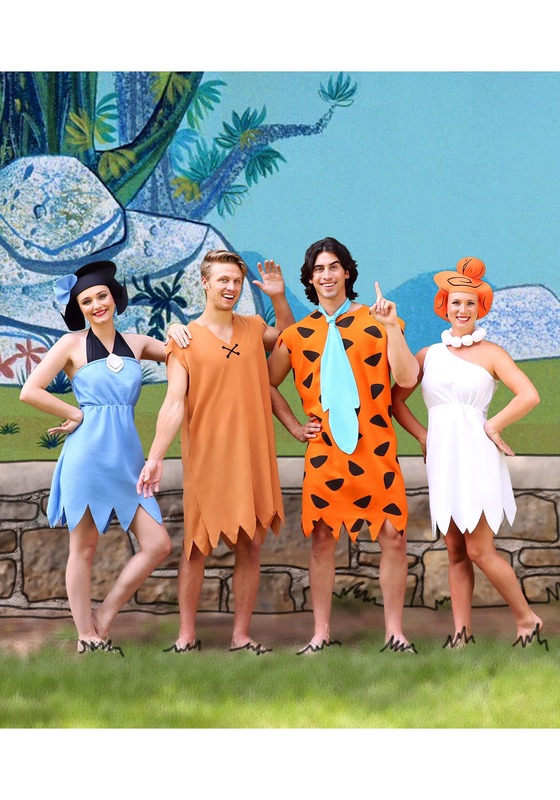 The Flintstones may be the quintessential modern stone age family. 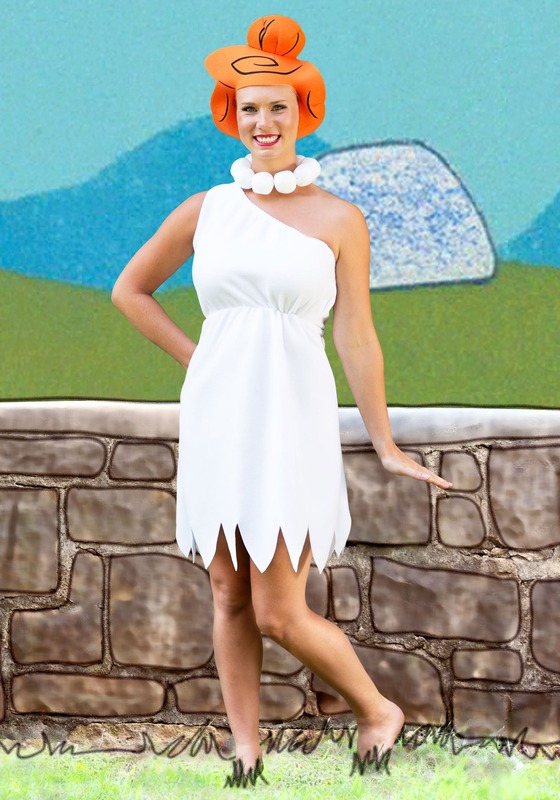 But it doesn't seem possible that Wilma is anything less than an extraordinary stone age housewife. She cooks. She cleans. She takes care of Pebbles. She wrangles the family's prehistoric pets and operates the household's dino-powered gadgets like she's conducting a symphony orchestra. 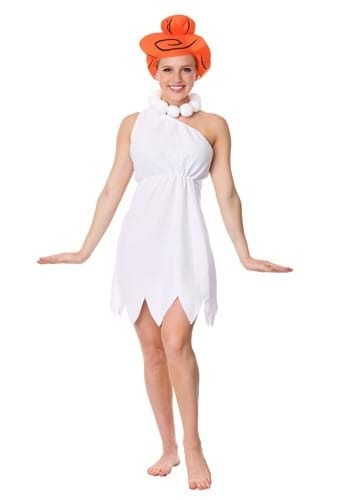 As if that weren't enough of a challenge, she and Betty Rubble even go into business together to make a few extra clams! Sure, Fred is big and loud and funny. He's great. But Wilma's really good at what she does, too! 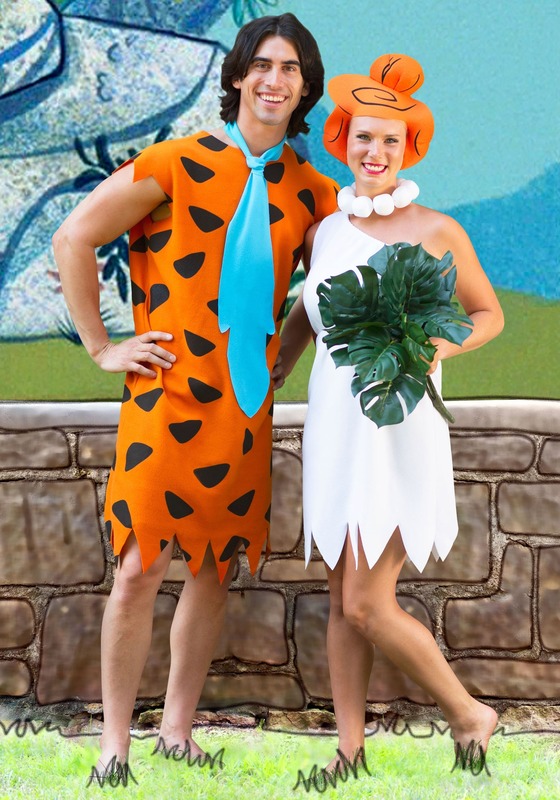 In fact, when Fred and Wilma trade jobs for a day, neither of them can quite pull off what the other does for a living. 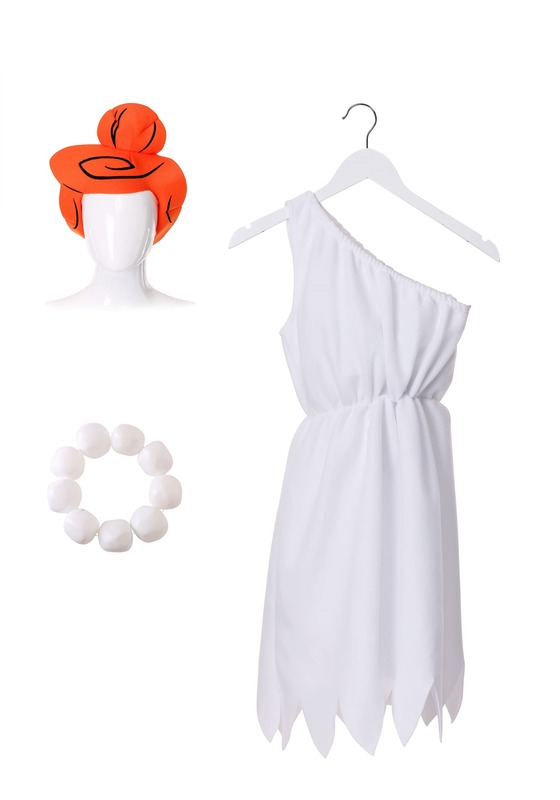 And it's made painfully clear that nobody looks as good as she does in a clean white cave-dress with a simple stone necklace and a perfect orange perm... with the possible exception of you! Throw on this outfit with Wilma's effortless, barefoot grace, and we're sure you'll make the cover of Good Cavekeeping Magazine in no time. This convenient costume set perfectly captures the pre-classical look of our favorite Cro-Magnon mom, and it doesn't even require you to hunt down a rare albino sabertooth tiger for its pelt! Just don't tell Betty we said you were our favorite, just now. 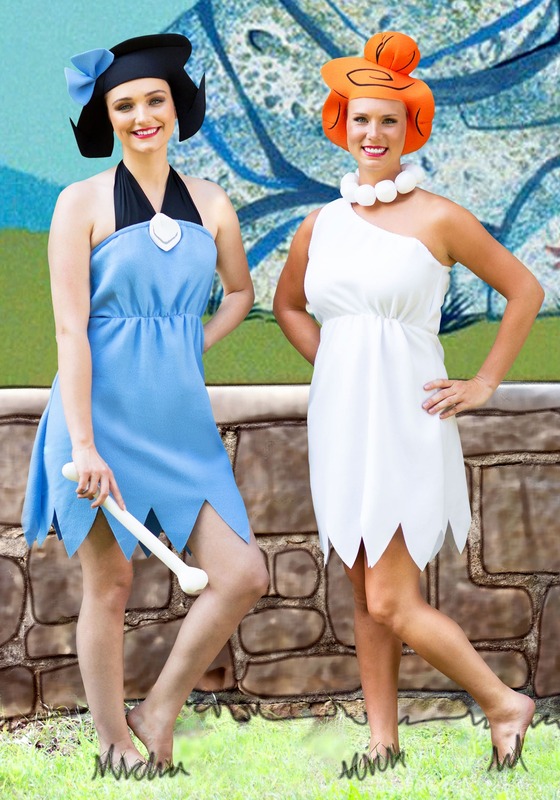 We don't want anything to come between two of the best friends in Bedrock! You two are as close as Fred and Barney. Or you and Fred. Or Barney and Betty. Or Pebbles and Bam Bam. Aww, we're getting the stone-age warm fuzzies! Aye aye aye, where do I start - way too small, very cheap fabric - I ended up making my own dress that worked out better! I'm sorry to hear this didn't work out for you, thank you for the feedback! Dress fit fine as a plus considering I'm 5months pregnant. Wig doesn't sit on head like in package picture though. Dress is well made. Good overall costume! Was this review helpful to you?YesNo0 people thought so and 1 didn't.